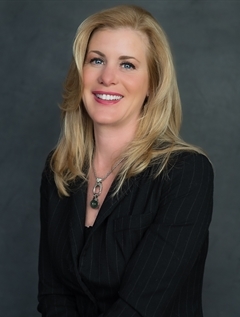 Laura comes to APRO Realty with over 20 years of sales experience. As an accomplished Sales industry professional, Laura is accustomed to working diligently to represent her clients. Her prior positions taught her perseverance, tenacity and negotiation and communication skills as she worked with a diverse customer base. Today, as a real estate professional, she is bringing those same skills and talents to an equally broad spectrum of clients. As a lifelong resident of the AK Valley, Laura can put her insider knowledge to work to find a special property in your neighborhood of choice. A focused listener and fierce yet fair advocate, Laura is known for your intuition while employing genuine concern to create a positive experience for both sides in any property transaction. Her business approach is simple and effective: listen to the client's needs and match them to the right property, then assure an honest and efficient transaction. Laura also uses the latest Internet marketing tools to expose your property to the widest possible range of qualified buyers and believes that to be in touch and stay in touch, is the key to her long-term relationships with her clients. ?